Berry on Dairy: Developing Innovative Yogurt Concepts: Five (make that six) considerations for successful product rollouts. Developing Innovative Yogurt Concepts: Five (make that six) considerations for successful product rollouts. I was shocked this past week to visit not one but two retail brands in Chicago and one in Miami to find a major yogurt brand selling its product at 10 for $3.00. I don’t want to name brands, but shame! This devalues yogurt. Another brand was selling its normally $1.59 Greek yogurt at 89 cents. Again, shame! Again, this devalues yogurt. Karma stinks. Even at these low prices, it appeared that product was not moving, or at least not moving at the speed the brands were hoping. Shelves and coffin cases were full. . Yes, I did stand around in the dairy departments for about 30 minutes in each of the three locations. Repeatedly I saw consumers reach for the premium or specialty brands. Moving forward, if you want to compete in the retail refrigerated yogurt category, here are five considerations. For starters: please do not devalue this superfood by over discounting. The future is all about premiumizing your product. Add value in terms of craftsmanship. Talk about the recipe, the artisan makers, the batch process. Focus on the cows and their milk, including sourcing, grazing habits, family farm, nutrient composition, heat process, etc. Differentiate with functional ingredients, namely probiotic cultures. Fiber, omega-3s and even vitamins/minerals make sense, too. Talk about the sweetener, have it be honey, stevia or cane sugar. Tell a story about where it came from and why it’s used. It’s OK to sweeten yogurt. Don’t apologize for it or even flag that it’s been reduced. This suggests inferiority. Use high-quality, whole food ingredients for inclusions and mix-ins. Talk about them. Have it be Washington State strawberries picked at the peak of ripeness or praline pecans candied following a New Orleans traditional recipe, talk about the ingredients. Here’s why premiumization is paramount for the future of yogurt, at least in the U.S. retail market. 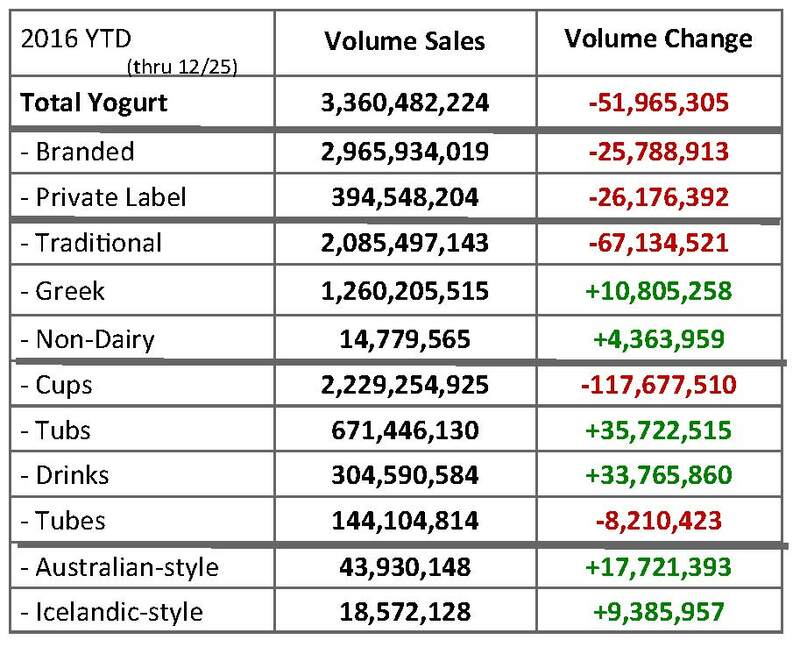 For starters, U.S. yogurt sales were down in 2016. U.S. production of yogurt closed 2016 down 1.2% vs 2015, which was driven by a decline in retail yogurt sales. The 2016 retail loss was at -1.5% and followed a 2015 gain of 2.2%, according to data from IRI provided to Dairy Management Inc., and courtesy of the Midwest Dairy Association. Retail volume loss was seen across geographical regions, retail channels and for most demographic groups. There was growth, however, among millennials, a well-developed yogurt demographic that grew 4% in terms of average annual household volume. There are indications that the market for Greek yogurt is maturing. Greek yogurt maintained positive growth of almost +1% for the year overall, but contributed to the overall retail yogurt decline in the second half of 2016. This more recent period of decline for Greek yogurt follows several years of strong growth. The IRI data show that whole-milk yogurt and yogurt multi-serve tubs experienced growth and contributed positive volume in 2016. 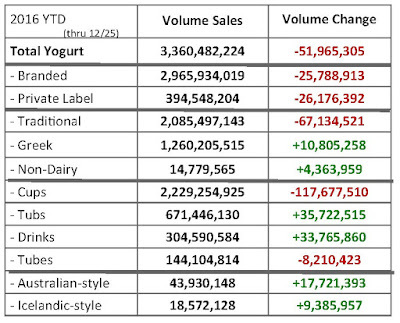 In addition, very strong growth was seen for Australian and Islandic style yogurts in 2016, although these “specialty” products are still niche in nature. Though U.S. yogurt sales overall may have been down in 2016, what was up is sales of “specialty” yogurt products. Overall, sales continue to grow as Americans embrace specialty food and beverages. The industry is taking its place as an integral player with traditional and non-traditional specialty food retailers, foodservice operators and distributors. Specialty foods are outpacing their non-specialty counterparts in almost every category—including yogurt--as consumers continue to become more aware of quality in their food choices. Categories aligned with better-for you options, health and wellness, and freshness are growing fastest. Specialty foods are defined as foods or beverages of the highest grade, style and/or quality in their respective categories. Their specialty nature derives from a combination of some or all of the following qualities: uniqueness, origin, processing method, design, limited supply, unusual application or use, extraordinary packaging or channel of distribution/sales. Not surprisingly, millennials are the ones driving this growth. The purchasing patterns of millennials cover the widest range of categories and the most diverse retail channels. 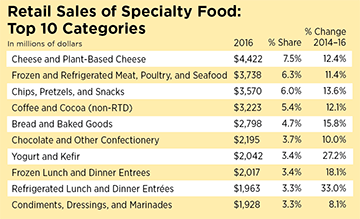 Dollar sales of specialty foods hit $127 billion in 2016, a 15% jump between 2014 and 2016, according to the “State of the Specialty Food Industry,” an annual report published by SFA and Mintel. By comparison, all food sales at retail grew by a mere 2.3%. Total unit sales for specialty foods were up 13.1%. Growth is being driven by product innovations and wider availability of specialty foods through mass-market outlets. Sales through foodservice increased 13.7% to $27.7 billion as U.S. consumers make specialty food a regular part of their away-from-home meal purchases. “Consumer preferences for specialty food products are growing at double digits, outpacing mainstream food staples,” says Kafarakis. “The products our members create appeal to consumers looking for authentic tastes and foods with fewer and cleaner ingredients. A key takeaway for yogurt manufacturers from this year’s SFA report is consumers’ increased interest in sustainability. Dairies can do this, and can do it well. So many players are! According to the overall SFA survey, almost 40% of manufacturers produced sustainable products, up 22% from 2015. Among retailers, sustainable products accounted for 16% of product sales. Along with non-GMO, the supply chain predicts sustainable will be the claim most interesting to consumers in the next three years. Consumers are especially focused on specialty foods in the refrigerated sections. Categories with the biggest sales growth in this area include refrigerated juices and functional beverages up 30.7%, refrigerated lunch and dinner entrees up 33.0%, and yogurt and kefir up 27.2%. Again, sales of specialty yogurt and kefir were up 27.2% in 2016. 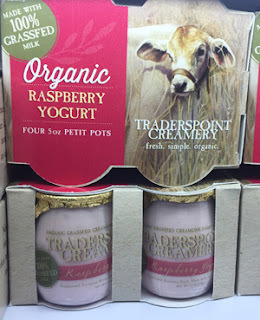 Traderspoint Creamery does a fabulous job of premiumizing its yogurt. Starting with being handcrafted from 100% grass-fed organic cows’ milk to being packaged in glass jars, the brand has a very strong following in the Midwest. The 5-ounce petit pots of raspberry, its most popular whole fruit variety flavor, is now available in four packs. If a single jar commands $2.00 to $3.00, depending on the market and retailer, imagine what the four pack costs. Guess what, it sells. It’s not just new brands, or even simply new products that are getting premiumized. 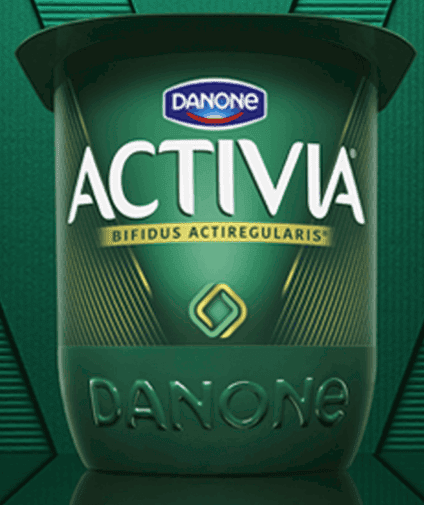 Last year, Danone invested in a new design and visual identity for its digestive health brand Activia, which it hopes will position the yogurt range in a more premium light and strengthen its health proposition. The core of the redesign is a new logo, which is made of two interlocking shapes representing efficacy and inner-balance. A bespoke logotype has also been introduced as well as a new photographic style to communicate expertise in the digestive health field. The goal is to premiumize the brand by clearly defining the role and specificity of each product in the range. “We adopted a design vernacular that feels precise, controlled and refined – a language more commonly found in premium skincare than the dairy aisle. The overall effect? A top-to-bottom premiumization that will ensure the brand occupies a more expert and credible place for consumers both today and tomorrow,” says Marie-Thérèse Cassidy, consumer executive creative director at FutureBrand, who created the new look. 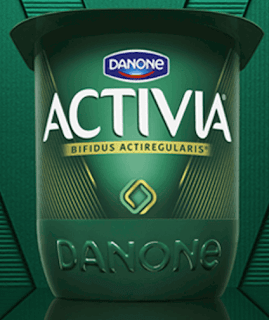 Activia and FutureBrand successfully tested the new visual system amongst 15,000 consumers in seven key markets (U.S., U.K., France, Spain, Germany, Brazil and Russia). The global relaunch started phasing into distribution this past September, with slight modifications by market. P.S. The 10 for $3.00 brand recently updated graphics. But what’s missing, my five first recommendations.